You've got a passion, we want to help you share ..
Coolpad will giveaway prizes to most active forum members from Gautam Buddha University towards the end of the event. Click HERE to directly interact with Mr. Syed in Coolpad forum, share what you want to hear from him and what’s your expectations of this event.You can discuss anything related to internships,career ,etc with him on the forum. This special event can be defined by you.The person Who reply's to coolpad forum topics daily and The more active forum member will have better chances of winning. 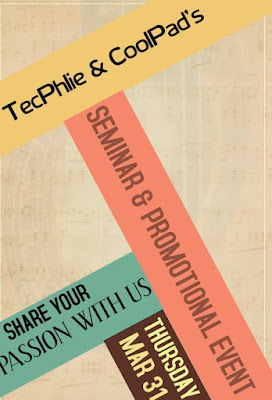 Like and share about Tecphlie with "#Tecphlie" on social media platform like FB ,Twitter and Google+. 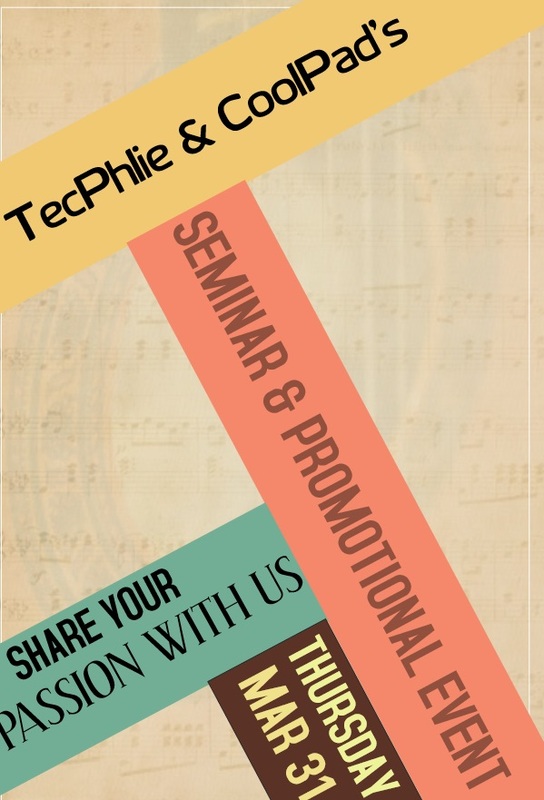 Once Done with these steps,fill the form below and don't forget to attend Seminar on 31st March.Exact starting time of the Event will be conveyed later on.so stay tuned with Tecphlie for latest updates. HURRY UP LIMITED SEATS AVAILABLE !! Coolpad Group Limited was founded in 1993. As the inventor of Dual SIM Dual Standby technology and one of the top 10 smartphone providers globally, Coolpad sold more than 20 million units in 2015 Q1-Q3. Coolpad believes that smartphones are a way of life providing the user the ability to customize to their personality and ensure that everyone has a unique experience with their Coolpad Device. Syed Tajuddin is CEO of Coolpad India Pvt Limited.He has been associated with the company since 2007 as an Operations Head and was instrumental in setting up Coolpad’s operation in the country. Prior to working with Coolpad, he worked with Rado and Tissot Watches in the Middle east. Syed has studied Master in Business Administration with marketing as a specialisation in 2000 from Osmania University and also holds a bachelor’s degree in science (B.Sc.) 1997 and Education (B.Ed.) 1998.